ST DUTHUS came away from Orkney feeling aggrieved yesterday, losing out on at least a point at the KGS 3G in Kirkwall, having held the lead until midway through the second half. There was just one change to the starting eleven who beat Invergordon last week - Jake Lockett coming in for Calum Neil, who dropped to the bench. Also returning were Jordan Mackinnon and Iain Macrae who were both named as substitutes alongside Sam Beeston and trialist Kevin Munro. A 5.30am start for the traveling Saints party saw them make the long trip to Kirkwall in the hope that they could continue their unbeaten league run, which has seen them avoid defeat in their last seven games. Alas, it wasn't to be - but their endeavours against the reigning league champions were not without tremendous effort, and a little bit of misfortunate along the way. Starting the game the better of the two sides, Saints were showing the same flashes of determination that saw them take a the initiative early on, soaking up early pressure from the home side and taking control. St Duthus were left wondering what was wrong with their opener on the ten minute mark after they had been awarded a free kick for a foul on Ross Tokely. The resultant Paul Beaton free kick from 30 yards found the far corner leaving Cameron McConnachie helpless with what seemed to be a legitimate and well taken goal. The far-side linesman, however, deemed Tokely to be in an offside position and disallowed the effort, leaving Saints bemused. Undeterred, St Duthus had plenty of chances to take the lead thereafter. A superb cross from Liam Rostock only just evaded the head of Scott Miller on the quarter hour, the latter in great space inside the box to steer the ball past Cameron McConnachie, had he reached it. A neat through ball from Rostock shortly after found Jake Lockett in space, and his shot from a tight angle was saved well by McConnachie. From a Paul Beaton corner soon after, Ross Tokely nodded the ball into the box and with a flicked header, Cammy Mackintosh forced McConnachie to produce a reaction save. At the ender a breaking run from Liam Delday found Aiden Drever who shot low into Ali Matheson. The Saints' keeper though saved and gathered the ball well. Liam Rostock was unlucky just after the half hour mark with a stinging volley from outside the box, which McConnachie had to palm out for a corner. A free kick seven minutes before the interval eventually gave Saints the lead when great delivery again from Beaton found Charlie Macdonald inside the area, and the centre half turned well to meet the ball and fire it beyond McConnachie into the far corner of the net. The goal was a just reward for Saints, who had dominated the first half. Beaton again with a long free kick shortly after forced McConnachie to save at his far post with Scott Miller and Cammy Mackintosh lying in wait. An upbeat Saints started the second half in the same mood but the first chances of the half came from Orkney, firstly with a 20 yard strike from Steve Hellewell, forcing an excellent stop out of Ali Matheson. Matheson rose to the occasion again moments later with a brilliant midair catch to prevent a Sam Hunter strike from hitting the top corner. At the other end, Liam Rostock continued to look lively, and cutting along the byline he shot across goal. McConnachie spilled, but managed to gather the ball just in time before Jake Lockett could pounce on the rebound. 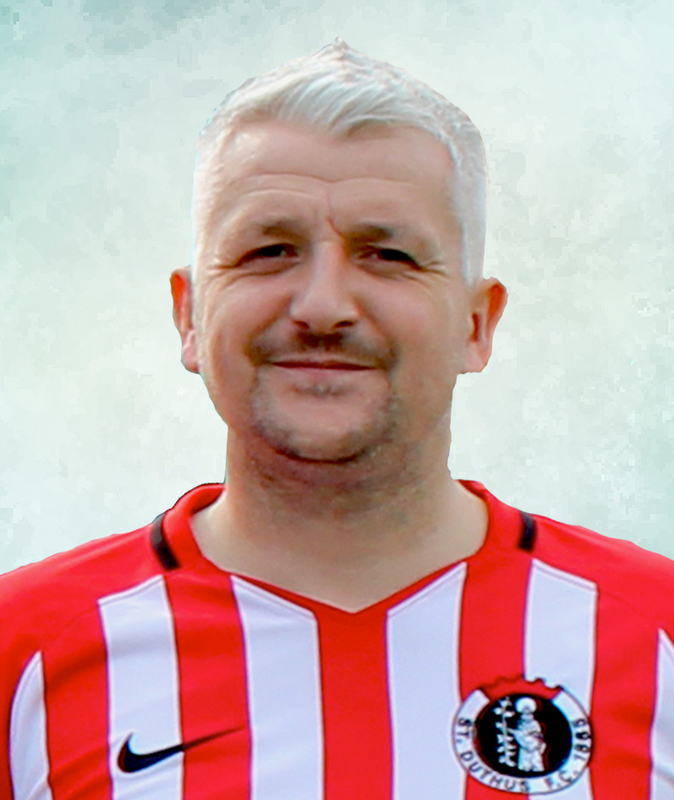 Saints did well to thwart several Orkney attacks as the home side continued to press - that was until 67 minutes when a fortuitious Joe Wilson cross into the box deflected off Beaton and wrong-footed and looped over Matheson into the net at the most acute of angles. Ever threatening at set pieces, Saints very nearly restored their lead on 72 minutes, Ross Tokely heading just over the bar from a Beaton corner. From a corner of their own just after, Owen Rendall headed downward and Saints needed a goaline clearance from Robbie Murray to prevent a goal. Substitute Zak Singh called Matheson into action with a quarter hour remaining with a snap shot just inside the area after breaking clear. With both teams in search of the next goal it was Orkney who eventually claimed a decisive one on 82 minutes when a short corner found its way into the path of Owen Rendall who sent the ball just beyond the reach of Ali Matheson with a shot inside the box. Saints went all out for an equaliser in the dying stages, and substitute Jordan MacKinnon was unlucky not to get more behind his shot on 85 minutes when he curled a chance goalward which McConnachie gathered easily. With two minutes to spare MacKinnon found himself in great space again on the end of a Beaton cross, but his headed effort was tipped over by McConnachie. St Duthus Football Club are a senior association football club based in the Royal Burgh of Tain in the North of Scotland. We are members of the North Caledonian FA and the Scottish Youth FA, with affiliation to the Scottish FA.